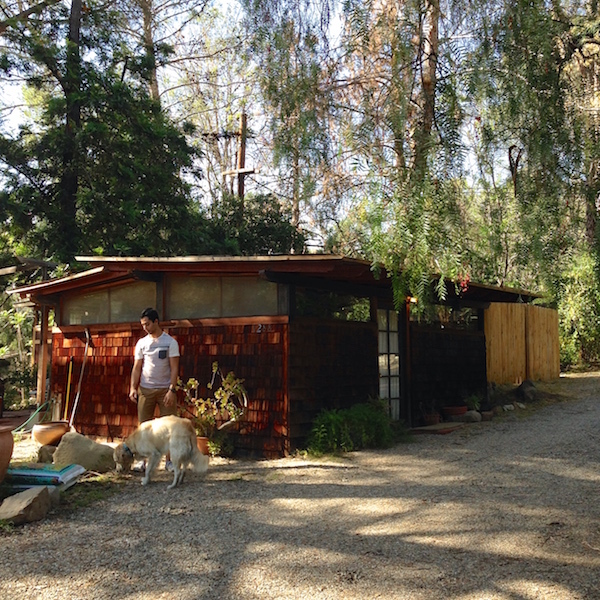 We stayed at the Wabi Sabi house in the East End. (Wabi sabi is a term derived from Buddhism that refers to impermanence and imperfection.) 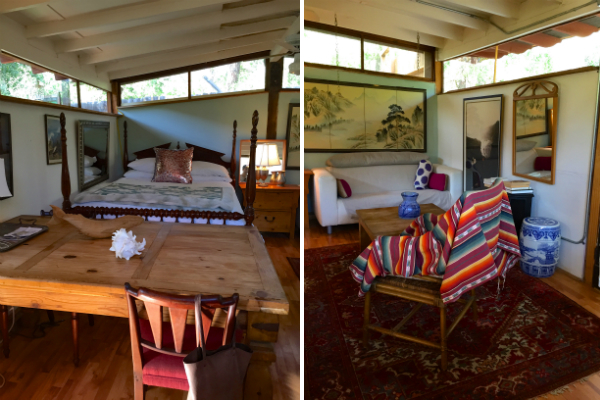 It’s essentially an artist’s cottage located near but totally separate from the Airbnb host’s parent’s home, as well as other quiet homes in the area. 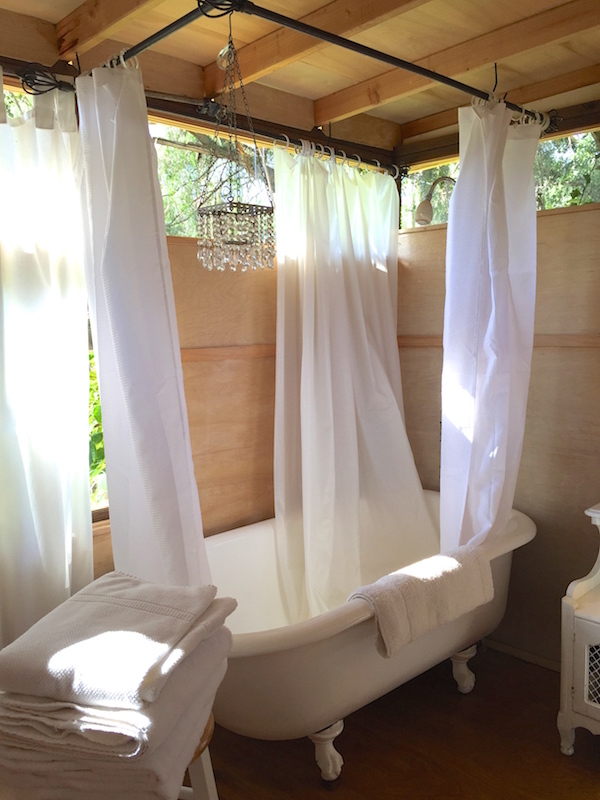 Aesthetically, the space is somewhere between glamping and a furnished apartment—and we loved it! 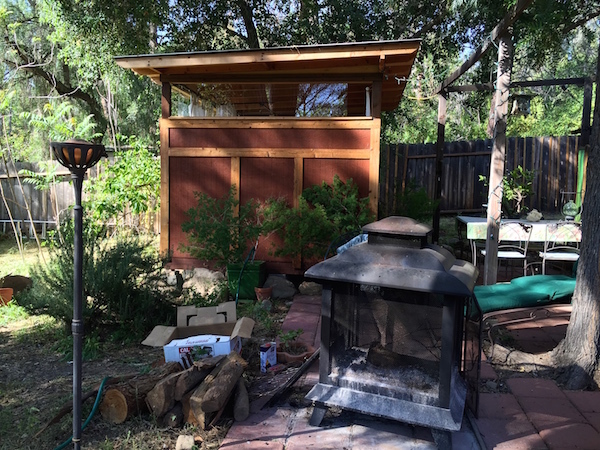 The most amazing features are the detached bathroom and outdoor fireplace, which we used for a cheese and wine dinner one night. We woke up to birds chirping and at night, we fell asleep to frogs croaking. It was pure magic. 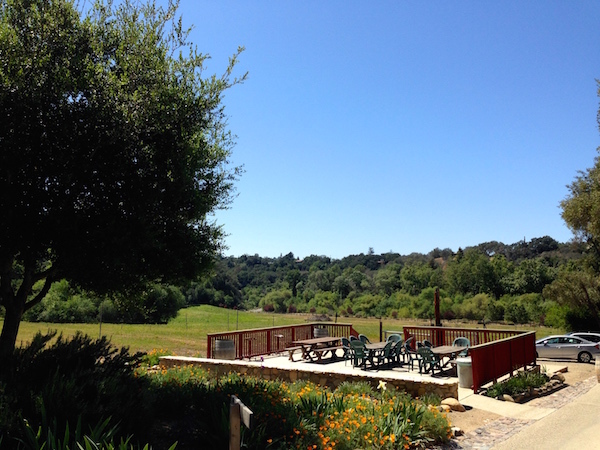 Like elsewhere in Ojai though, bugs are a given, but for us it wasn’t a big deal. 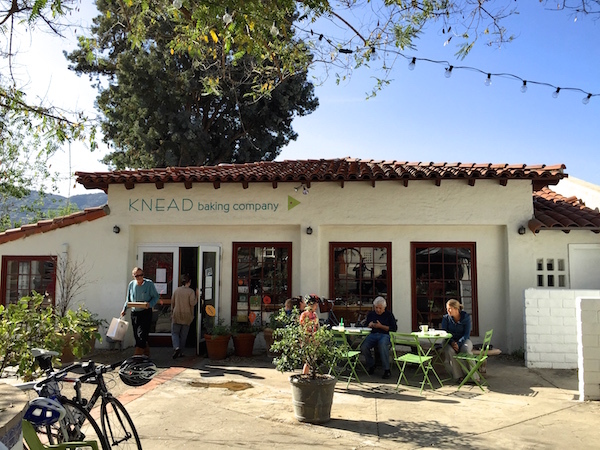 Knead Baking Company: This bakery serves sweet pastries as well as popular breakfast sandwiches. 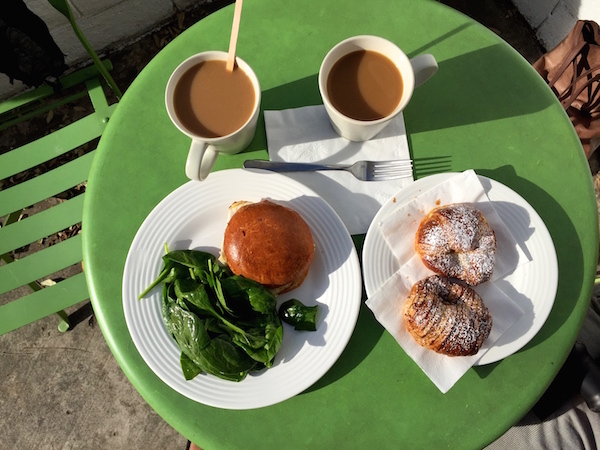 We split almond and chocolate croissants with an egg sandwich on buttery brioche. 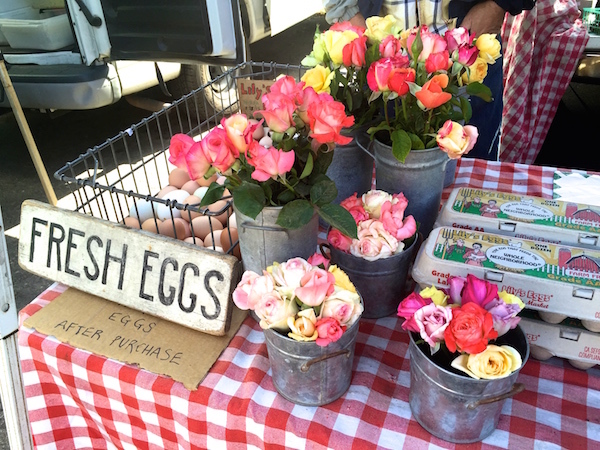 At first I flinched at the $8.25 price tag, but that egg sandwich with spinach was worth every penny. Hip Vegan: We sat on the outdoor patio, where we ate the Hoi An burger made with tofu and Indo wrap, a rice paper sandwich filled with tempeh. 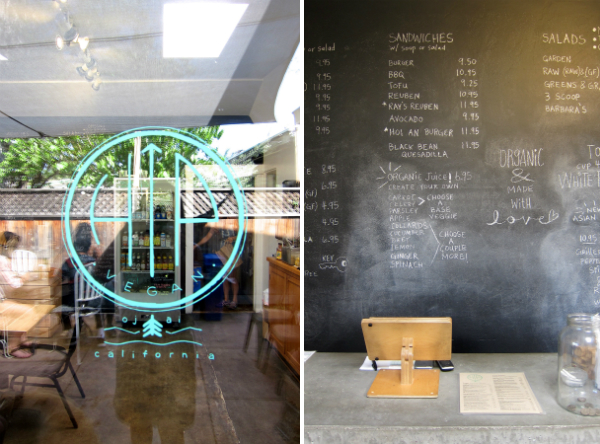 I also had myself the much-raved-about date shake—the praise is every bit warranted—and Eaman had a pineapple shake. Everything was delicious and soul-satisfying, but interestingly, the white bean soup du jour had us most gaga. 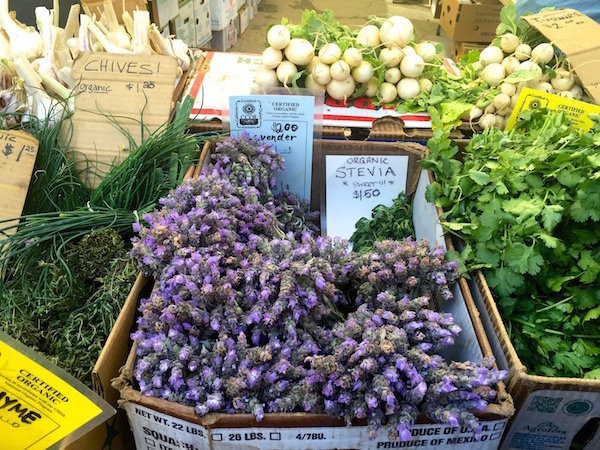 Farmer & The Cook: Everyone will tell you to go here, and they’re right! 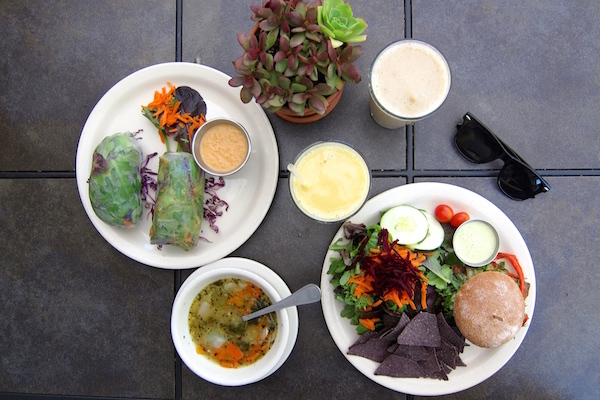 This cafe-meets-market serves a daily Mexican menu, incredible huevos rancheros (above) on weekends, and juices and smoothies. Wonderful option for vegetarians and vegans. 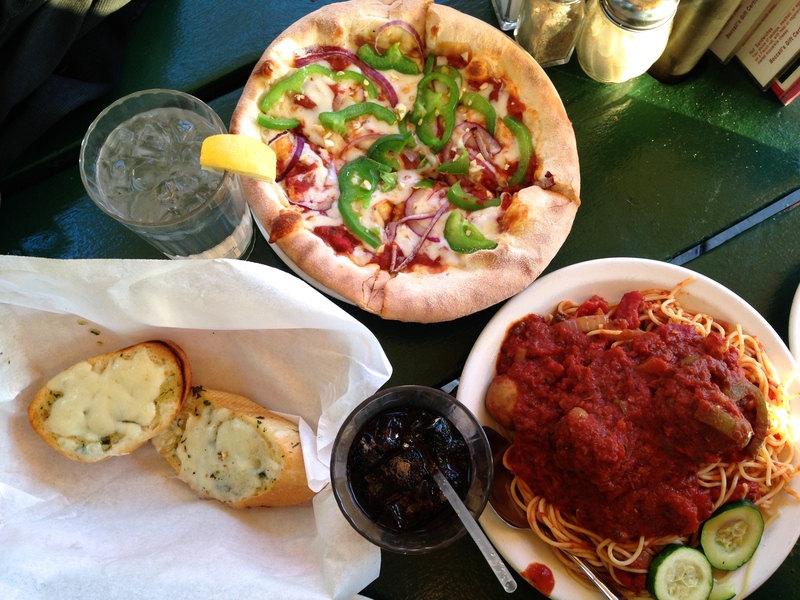 Boccali’s: This casual Italian eatery is the only restaurant on the East End, which is a few miles from the tourist center and very close to our cabin. 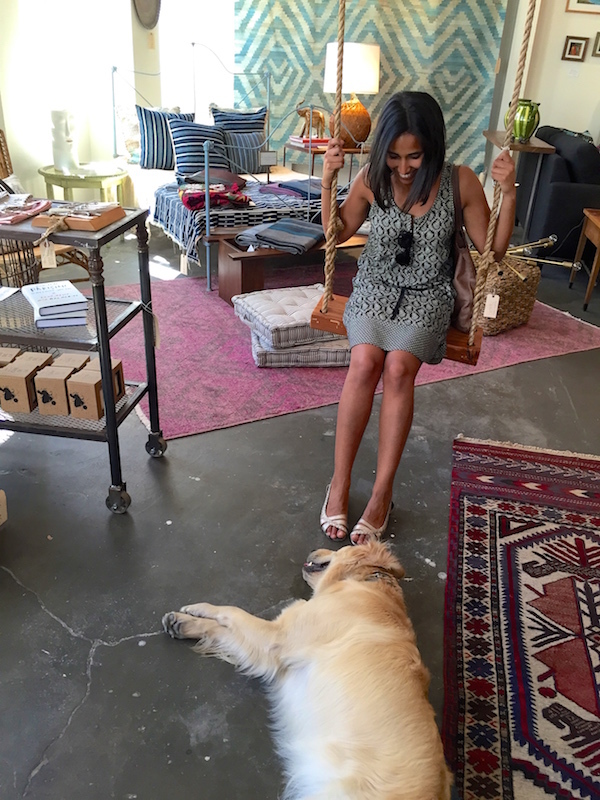 Besides the farmer’s market, it was the only place we couldn’t bring Teddy; the hostess said the patio was just too crowded for a big dog to be splayed out. I was bummed at first, but after taking Teddy literally everywhere with us, it was nice to have a meal—and pre-anniversary dinner—to ourselves. 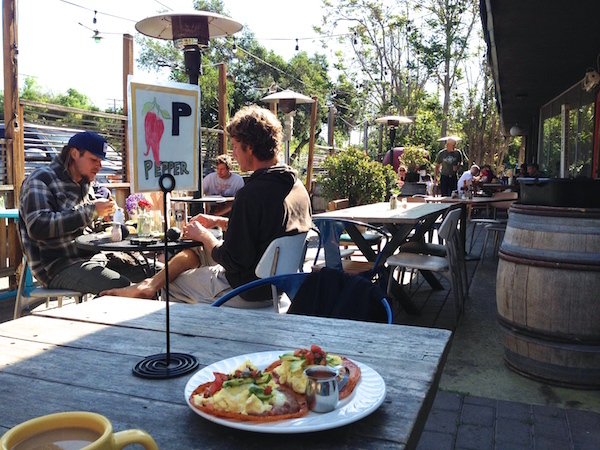 We sat on the very cute outdoor patio, where we enjoyed a feast of Italian proportions. Don’t expect edgy, experimental Italian food. It’s simple, the way nonna intended with ingredients and wines sourced from their family farm up the hill. 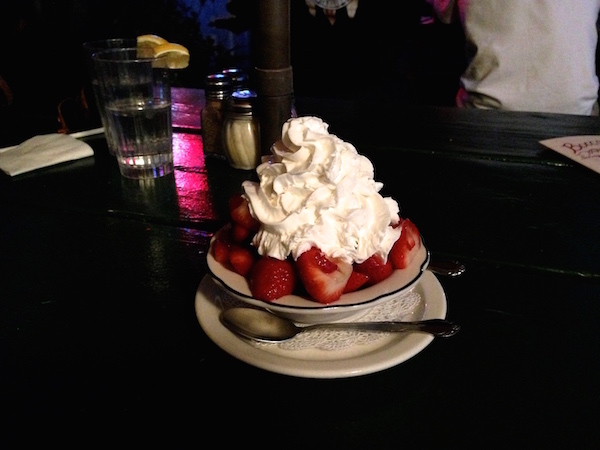 And save room for their famous strawberry shortcake. It’s incredible. 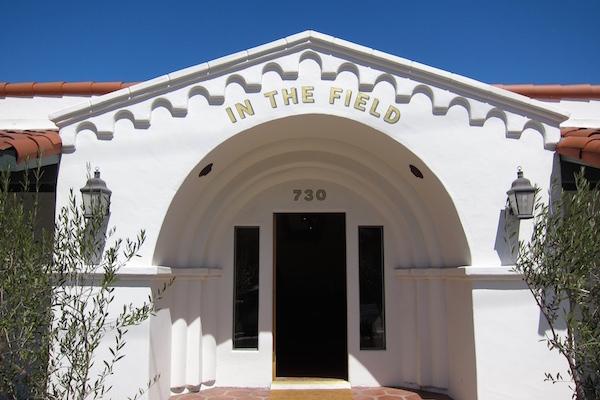 In the Field: The new kid on the block, In the Field opened last November on the main Ojai Avenue drag. 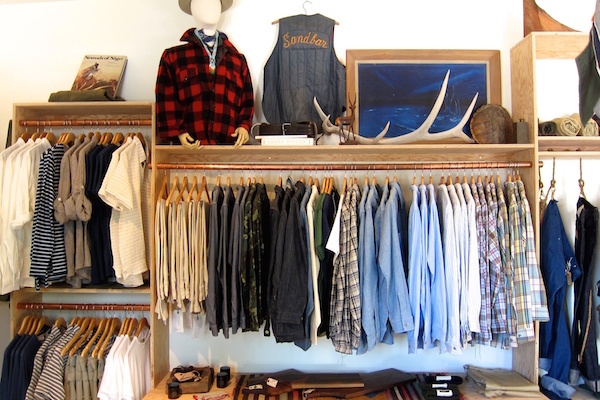 The bohemian store has a Western- and lumberjack-chic feel, with clothing, accessories, home, decor, and even surf gear, much of which is handcrafted in the U.S. 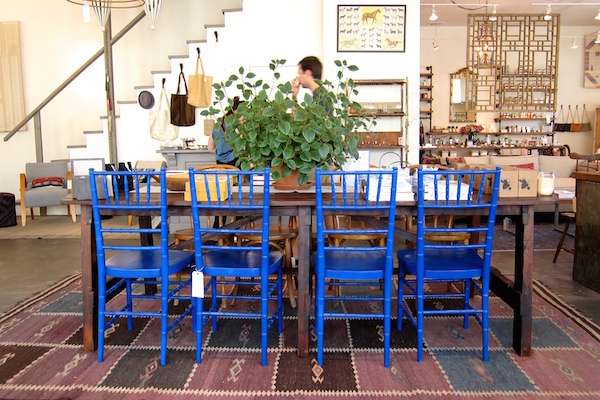 The prices are steep, but the quality, especially of the leather products, is really great. 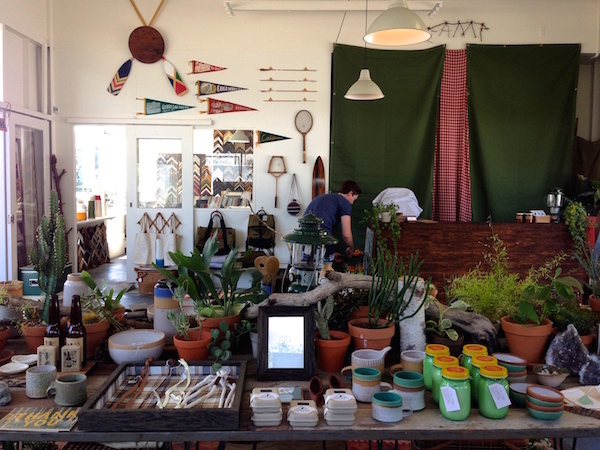 Summer Camp: Housed in a former gas station, this cute, hipster shop feels like a retail offshoot of a Wes Anderson movie. 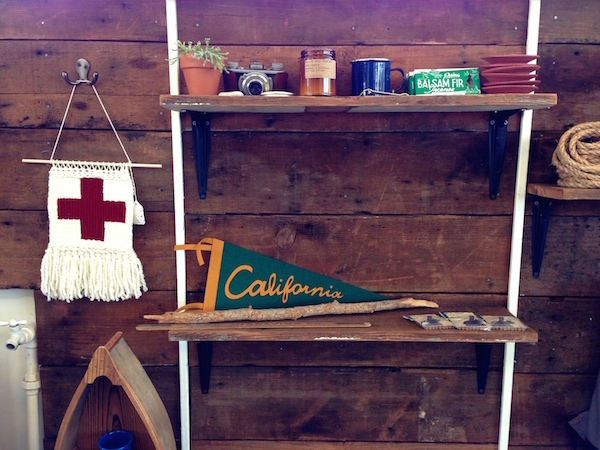 It’s filled with antique rackets, Pendelton blankets, candles, pennants, prints, and more. I got a re-print of a vintage original as a memento of the trip. 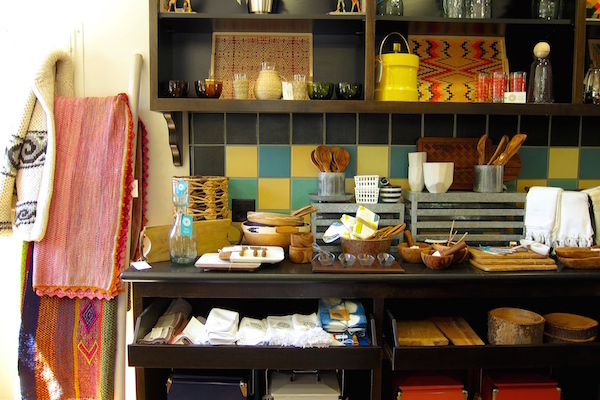 Tipple & Ramble: This home and gift shop is rad! 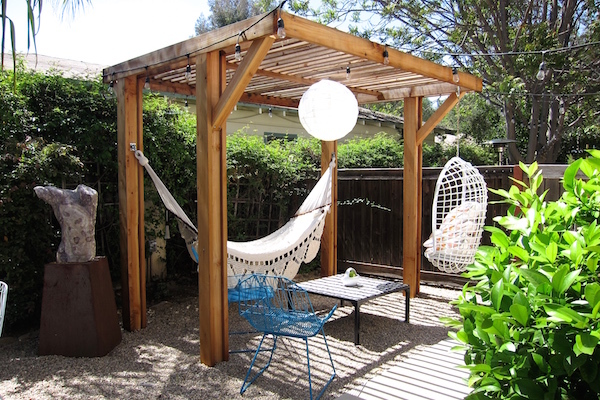 They have beautiful products, a lovely outdoor area, and even host wine tasting from their bar. I want that peacock chair. 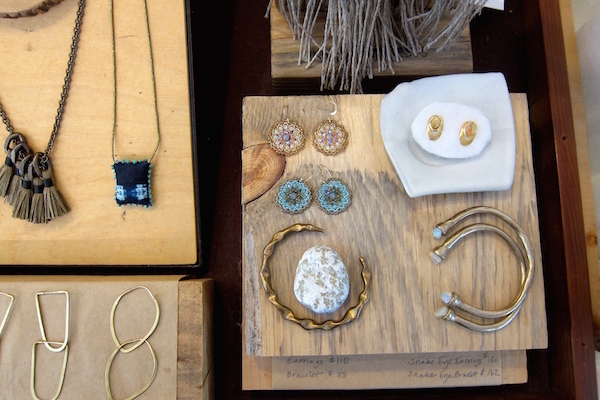 Modern Folk Living: This shop sells jewelry, home goods, books, and more. The price points were a little higher than some of the other shops, but the curation is on-point. (The owner used to work in brand design for Adidas and Patagonia.) 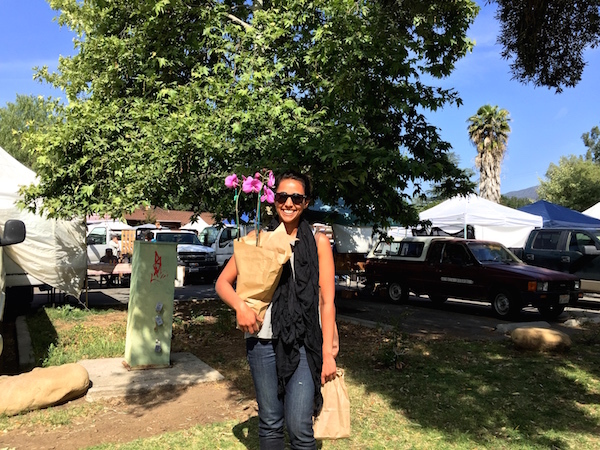 I loved chatting with the woman working there, Fanny, who grew up in Ojai and gave me tons of recommendations for our stay. 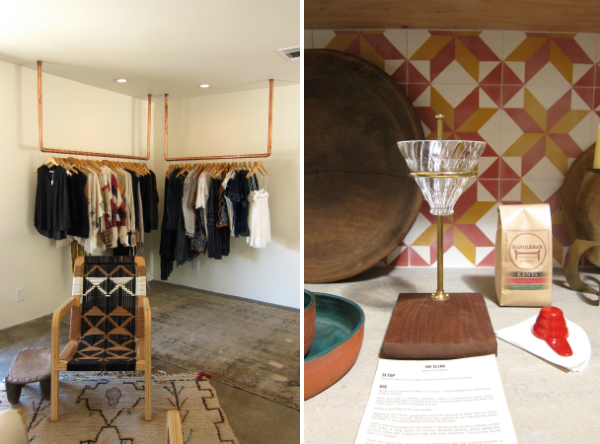 deKor & Co.: An upscale home store with cosmetics and skincare products all curated by owners Isabelle Dahlin, a Swedish interior designer, and Vogue contributor Rachel Marlowe. Loved that swing! 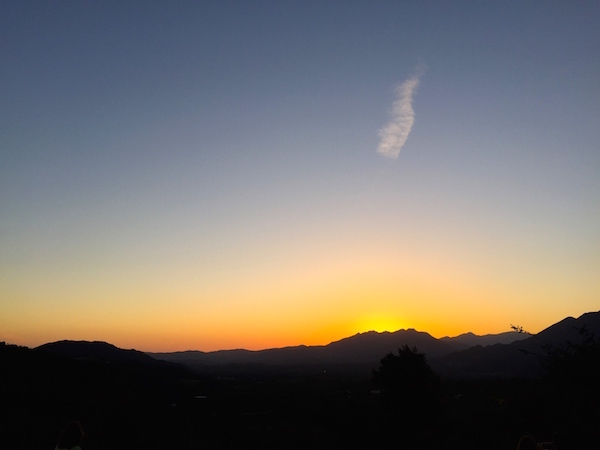 Shelf Road Trail: One of the most popular hikes in Ojai, the Shelf Road Trail is an easy 3-mile, out-and-back hike with amazing pay-off. 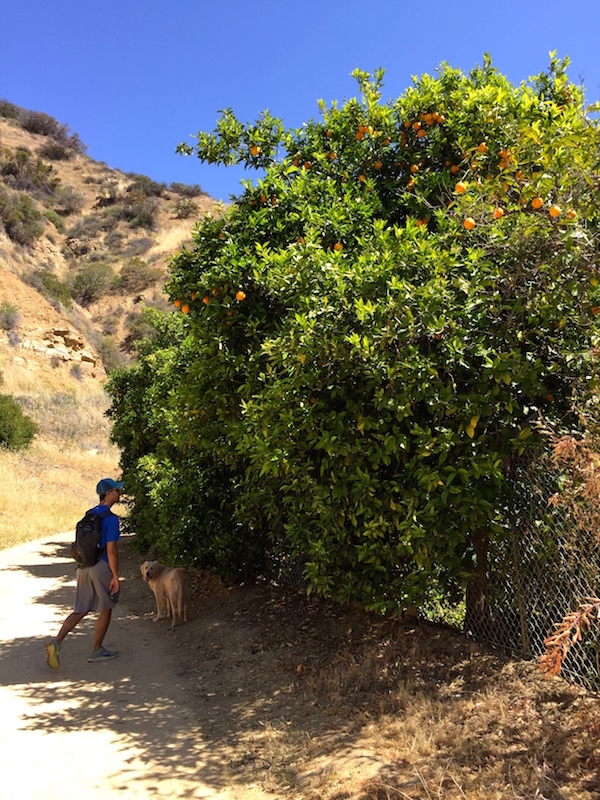 A big chunk of the path is lined with Valencia orange trees and avocado trees! 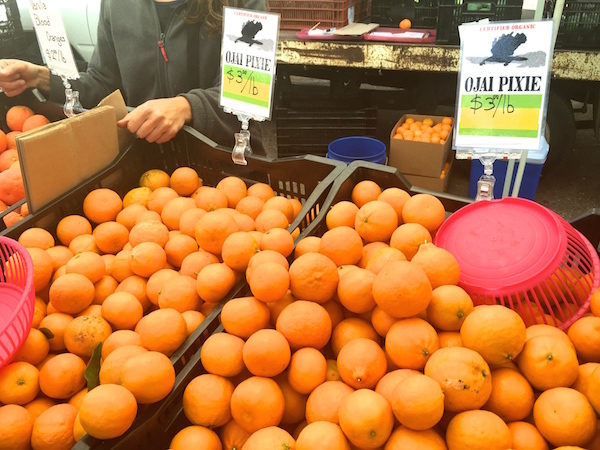 And yes, you can pick them! 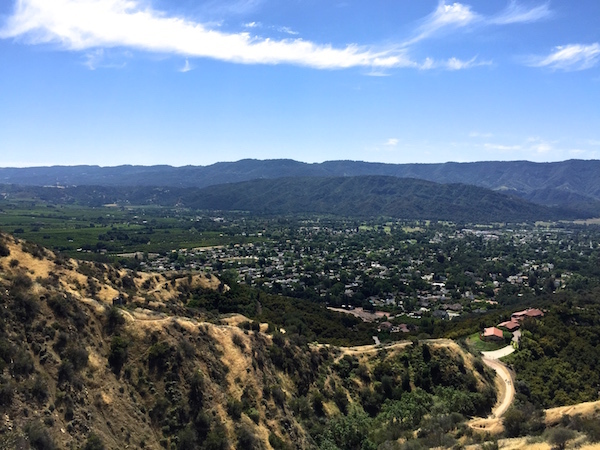 We also took a detour up the Fox Canyon trail, which is more of a workout than Shelf, for great views of the valley. To get to the Shelf Road Trail, from Ojai Avenue, take Signal Street north until you hit a dead end. 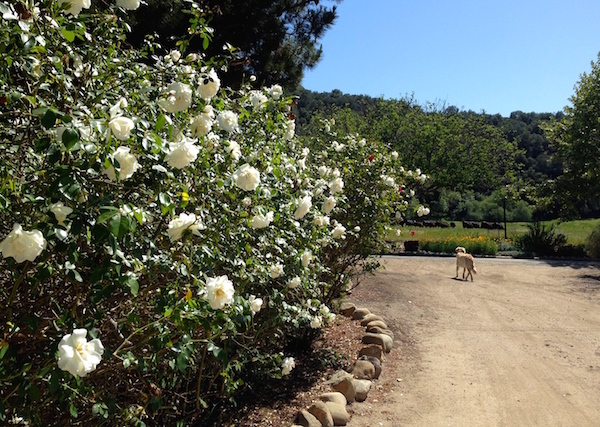 Old Creek Ranch Winery: While wine tasting at Ojai Vineyard Tasting Room downtown, a lovely couple from Ventura advised us to head to Old Creek, 15 minutes south of Ojai. Thank you, couple! This turned out to be one of our favorite activities. 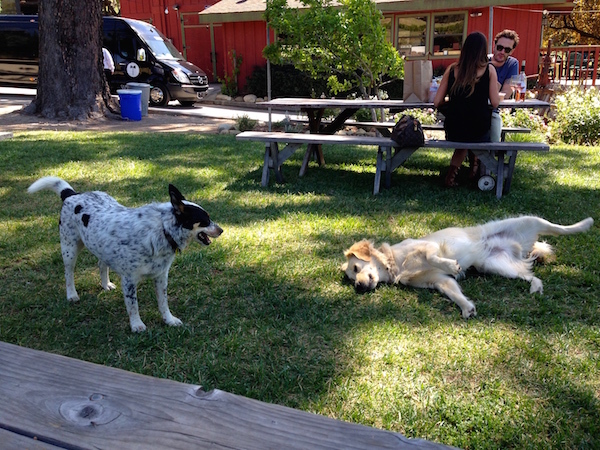 The vineyard is set on an 850-acre property with picnic tables, rose bushes, cattle, and the owner’s dogs hanging around. 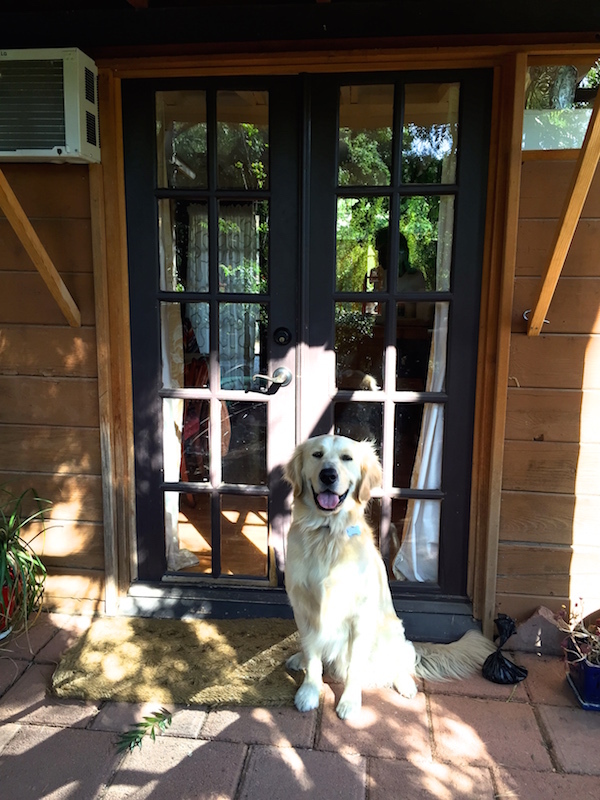 We let Teddy roam with them, and he had the best time. It was absolutely dreamy, and we still think about how relaxing our hours were there. 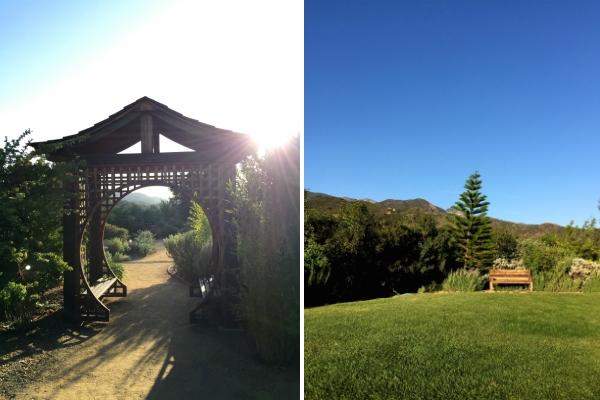 Meditation Mount: This spiritual site plays host to meditation services, yoga, events, and famous sunsets, particularly the “pink moment” when the sunset cast a pink hue over the valley. 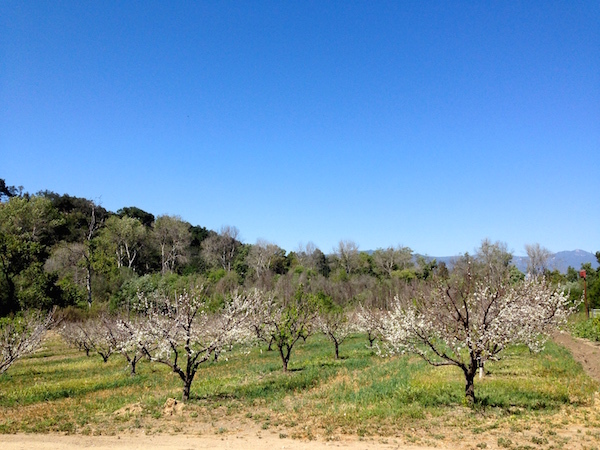 On the drive to Meditation Mount, we could smell the fragrant orange blossom flowers, an experience I’ll never forget. Once we got to the viewpoint—so crazy that Teddy was allowed!—we sat in the grass, stopped talking and took it all in. 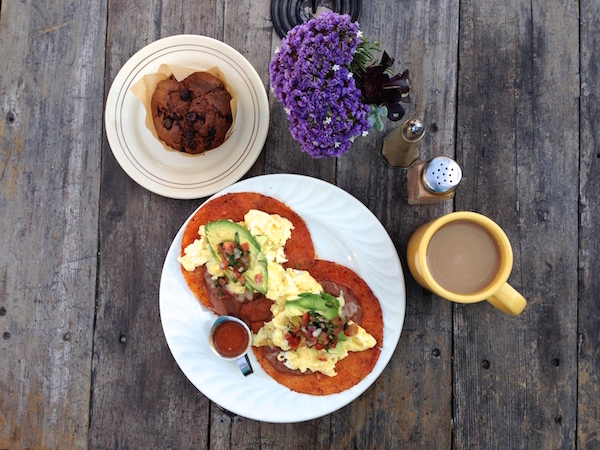 New in Ojai: the espresso and small plates eatery NoSo Vita and Ojai Tortilla House, which had delicious carne asada street tacos. 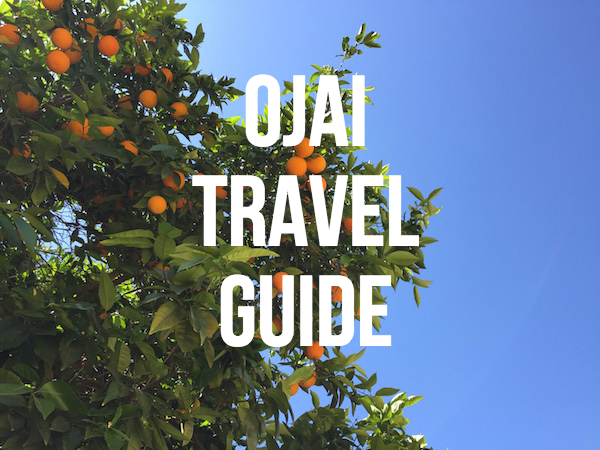 And on your way out of Ojai, I highly suggest taking 150 East through the mountains, where you’ll pass gorgeous ranches and lemon groves, and make a pit-stop in Santa Paula, a funky town that’s cross between a Mexican main street and old-timey Midwest town. Great info (and great timing!) Thank you! Thanks Archana for the detailed tips and nice pointers. We are heading there this October. Planning to do Shelf Road Trail, witness Pistachio harvesting and visit Meher Mount Spiritual Center. Looking forward to a fun filled family weekend tri.